Having trouble sleeping? 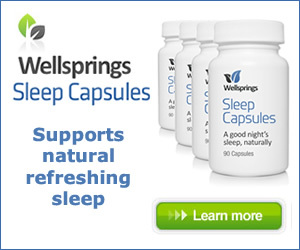 There can be a number of reasons but natural progesterone aids sleep as new research shows. Sleep disturbance is common around the menopause – pre and during – with a choice of potential disrupters like hot flushes and night sweats and is a source of great frustration for many women. We all have times when we don’t sleep so well, but when it is prolonged we really notice the effect that it has. It doesn’t matter whether your problem is not being able to get to sleep in the first place, or waking frequently in the night, if you don’t deal with it then it will certainly impact your health. So why is it so common amongst menopausal women? There can be a number of other factors involved, such as adrenal fatigue, but generally it is because the levels of progesterone usually produced by the body in the ovaries and adrenal glands will have dropped sharply. This leads to hormonal imbalance (oestrogen dominance) and lack of sleep is only one of the many effects that this can have. If you are getting enough sleep, but still wake up feeling tired and generally feeling exhausted, then it could be you are suffering from adrenal fatigue. Your adrenal glands are incredibly hard workers and produce the stress hormones in response to your body’s needs – which unfortunately these days can be all too often – as well as secreting many other hormones including progesterone, oestrogen and testosterone. Progesterone shares a close relationship with GABA, a neuro-chemical within the brain that calms the nervous system. This has the effect of reducing those clamouring thoughts chasing round your head so you can relax and drift off to sleep more easily. If you are lacking in GABA then your mind will continue to race and you will not get an adequate night’s rest. When natural progesterone is given, researchers have found that the brain waves slow down in a similar way as when exposed to tranquillisers, so helping the person get to sleep. 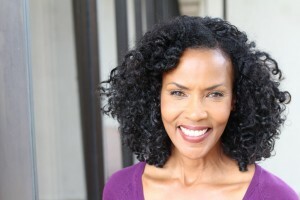 However, most women would prefer not to be taking tranquillizers to help them sleep, certainly not on a long-term basis, and that is why the researchers recommended the use of natural bio-identical progesterone creams, which provide the progesterone needed to balance the body’s hormones without any of the side effects that drug-based products can cause. 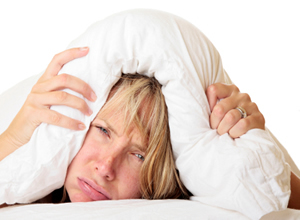 Menopause can throw up many challenges, but lack of sleep need not be one of them. By using more natural methods such as bioidentical natural progesterone, herbal supplements like valerian and enjoying a coolish bath with lavender oil added then a good night’s sleep need not be a thing of the past. Sonia Please email support@wellsprings-health.com for individual help with your daughter’s symptoms as she may need a different solution such as Serenity rather than 20-1. It help me alot with my heavy period and sleep problem. I’ve one Dauther age 19, who suffer from stress. Period pain and not sleep well. Feel no energy most of the time. Can you suggest any things for her please. Thank you in advance. Just wanted to add that my insomnia is horrible now. Difficult to even get 2 hours of sleep. Thank you again. It can certainly be a nuisance Marion, and many practitioners recommend not drinking after 6pm as the best way to avoid being woken in the night. I have noticed that using natural progesterone helps me have a slightly better quality of sleep, however the mild diuretic effect of using it [which I am grateful for, as I suffer with water retention], also means I have to wake up for the toilet in the night, frequently.